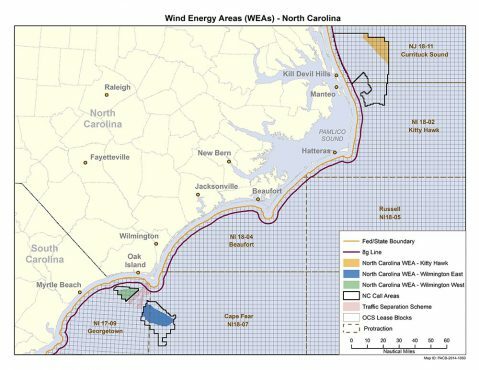 Federal officials say North Carolina will benefit from a new partnership that brings together local and regional fishing interests with federal regulators to collaborate on the science and process of offshore wind energy development. The National Marine Fisheries Service announced Tuesday that it had signed an agreement with the Bureau of Ocean Energy Management, and the Responsible Offshore Development Alliance, or RODA, to collaborate with fishing interests on offshore wind energy development on the Atlantic Outer Continental Shelf. 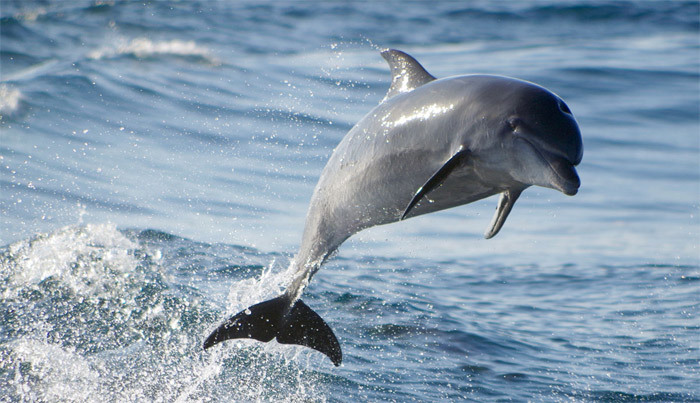 The National Oceanic and Atmospheric Administration’s Fisheries Service is the primary federal regulatory agency in charge of marine life and habitats. BOEM, part of the Interior Department, issues leases for energy development. RODA is a membership-based coalition of fishing industry associations and fishing companies. The 10-year memorandum of understanding says that NOAA, BOEM and RODA have mutual interests, including the responsible planning and development of offshore wind power and other offshore development that could affect fisheries, habitats and the industry they support. The agencies and the coalition agreed to collaborate and forge further agreements on issues of mutual interest. The NOAA Fisheries Greater Atlantic Regional Office’s geographic scope spans fisheries from Maine to North Carolina. 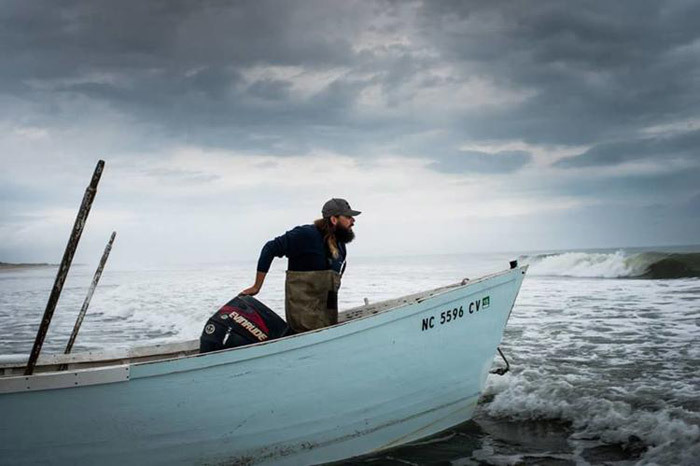 NOAA described fishing as an integral part of the region’s culture and economy going back hundreds of years, and said that offshore wind is an abundant, domestic energy resource near major areas of demand on the coast. Wind is an alternative to long-distance transmission or development of electricity generation in these land-constrained regions, the agency said. 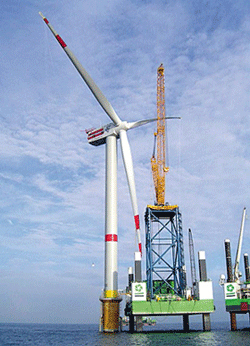 So far, only one company is working to develop wind energy off the North Carolina coast. In March 2017, BOEM held an auction for the Kitty Hawk Wind Energy Area off the coast of North Carolina. Avangrid Renewables, LLC bid more than $9 million and was the winner of lease OCS-A 0508, which covers 122,405 acres. The lease went into effect Nov. 1, 2017. 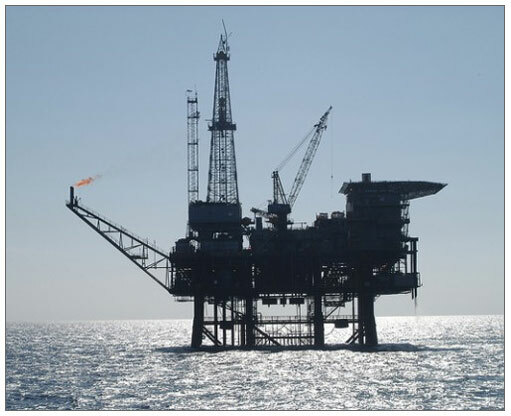 In May 2018, BOEM approved a request to extend the preliminary term for the lease from Nov. 1, 2018, to Nov. 1, 2019. 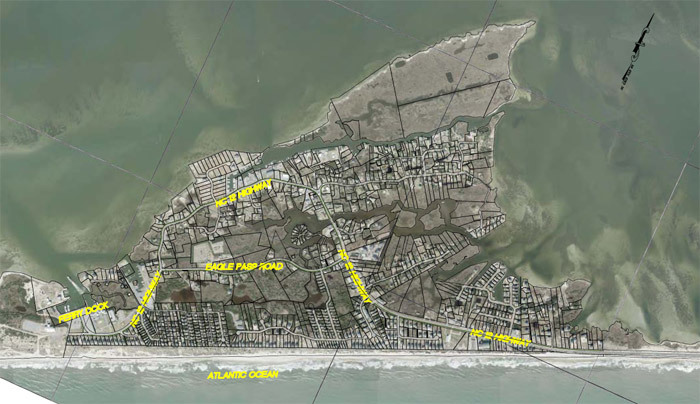 Paul Copleman, communications director with Avangrid, said fisheries interests are being considered as the company moves toward development off the North Carolina coast. Under the agreement, RODA is to work with NOAA Fisheries and BOEM to compile, develop and deliver the best available science and information necessary to address offshore development, fisheries management and ecosystem health. Hawkins told Coastal Review Online that the agreement will allow those involved in fishing to stay informed on offshore development without having to attend countless meetings. The process will help fishing interests in all states included in the agreement by bringing into the conversation issues such as economic effects, displacement and restricted transit areas offshore. Working together to engage local and regional fishing interests early and often throughout the offshore wind development processes will help develop a collaborative regional research and monitoring program and lead to scientifically sound decisions, NOAA said. The federal government has 15 active leases covering nearly 1.7 million acres of the outer continental shelf for potential offshore wind development. Collectively, these leases could generate more than 19 gigawatts, or 19 billion watts, of energy. NOAA said that’s enough to power more than 6.5 million homes. NOAA Fisheries manages more than 42 species important to commercial and recreational fishing as part of 14 fishery management plans. In 2016, about 4,600 vessels landed more than 1 billion pounds of key fish species, supporting roughly 140,000 seafood jobs. The region is also vital for numerous endangered and threatened marine species, including the North Atlantic right whale. In addition to planning, siting and developing offshore wind power, the agreement cites collaboration on regional research and monitoring to ensure decisions are based on the best available science. NOAA said the collaboration with BOEM, states and fishing industry interests throughout the renewable energy leasing process will help improve compatibility of offshore wind with other ocean uses and create an effective regional research and monitoring program that will help improve understanding of potential ecological, economic and social effects related to offshore wind development.